25 mixed Czech pressed glass teardrop beads in a mix of dark transparent red and opaque orange with silverish picasso. 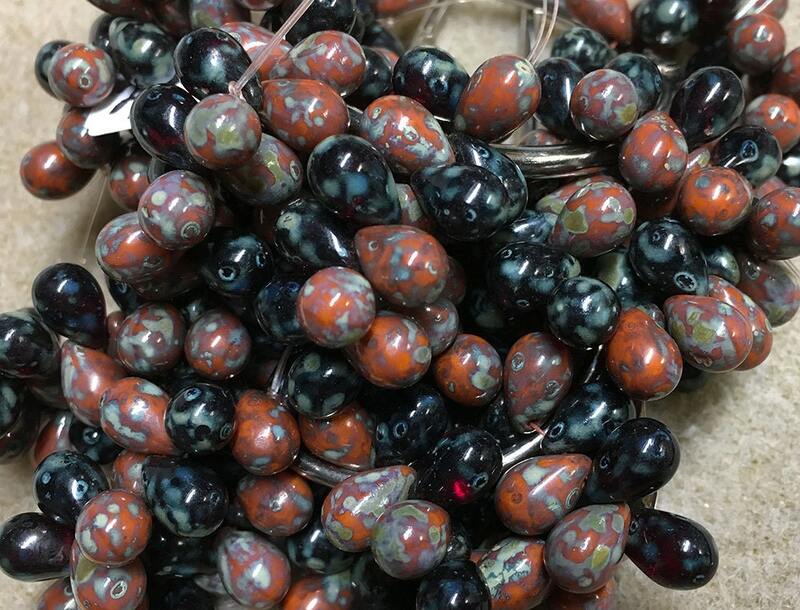 Beads are top drilled and measure 6mm x 9mm. Everything was perfect and shipped quickly. Thank you!